Download your PDF copy of this article by clicking here. 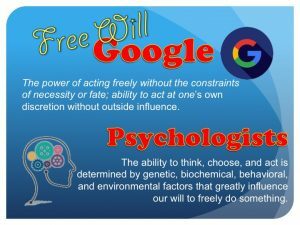 Free Will? Free Choice? Do We Have Them? Why Should We Care? 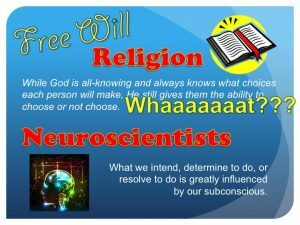 Free Will: We recently had a great “Kitchen Table Discussion” with our colleague, radio cohost, and Spiritual Think Tank member Rev. Dr. Paul Hasselbeck. The three of us riffed on the topic of Free Will and Free Choice in a discussion that went on for several hours … and still continues when we talk! It prompted us to create one of our Spiritual Café sessions focusing on the topic. Here are some of our musings! The power of acting freely without the constraints of necessity or fate; the ability to act at one’s own discretion without outside influence. The ability to think, choose and act is determined by genetic, biochemical, behavioral and environmental factors that greatly influence our will to freely do something. They hold that behavior isn’t a passive reaction to forces, but that people actively respond to internal and external forces even though they think it’s not coerced. 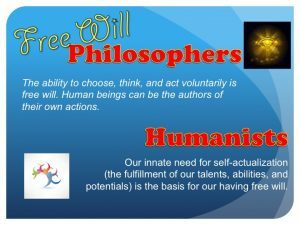 Our innate need for self-actualization (the fulfillment of our talents, abilities and potentials) is the basis for our having free will. Since it’s impossible for anything to occur without having been caused by something else, there’s no such thing as free will. What we intend, determine to do, or resolve to do is greatly influenced by our biology, genetics and environment. Have the new neuroscientists brandishing their fMRIs (the ghostly illuminated etchings of the interior structures of the skull), succeeded where their forebears from disciplines ranging from phrenology to psychoanalysis have failed? Have they pinpointed the hidden anomalies in the amygdala, the dysfunctions in the prefrontal lobes, the electrochemical source of impulses that lead to the choices we make? By saying that our willfulness is purely the result of neurological glitches in our neural circuitry or a sort of neuro-factory warranty mechanism, in eliminating the element of freely willed conscious choice, are neuroscientists suggesting that they’ve discovered a ‘brain bug’? Neuroscientists go on to say that there is a time delay in the time it takes information out in the world to reach our conscious awareness – a nanosecond delay. And because our conscious awareness lags slightly behind what happens, our subconscious has already encoded what happened, including its consequences, and compels us to respond in a certain way – based on our past conditioning. The choices we make consciously have already been made subconsciously. The brain has fooled into thinking our conscious choices are free will choices. One significant finding of modern studies is that a person’s brain seems to commit to certain decisions before the person becomes aware of having made them. Research suggests that our conscious self does not initiate all behavior. Instead, the conscious self is somehow alerted to a given behavior that the rest of the brain and body are already planning and performing. Neuroscientists are beginning to believe that we are mistaken in believing that intention initiates every action. Many of our decisions are initially being made on a subconscious level and only afterward being translated into a “conscious decision,” and that our belief that it occurred at the behest of our ‘free will’ was only due to our retrospective perspective on a particular event. According to a growing number of neuroscientists, unconscious impulses to perform a volitional act are open to suppression by the conscious efforts of the subject (sometimes referred to as “free won’t”). Studies have shown that conscious intention to do something does not cause movement genesis; both the feeling of intention and the movement itself are the result of unconscious processing. It seems that the possibility that human ‘free won’t’ may also be the prerogative of the subconscious. 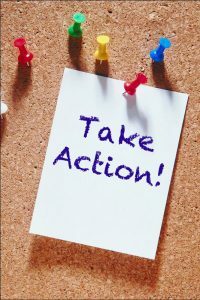 The decision to ‘veto’ an action is most likely determined subconsciously, just as the initiation of the action may have been subconscious in the first place. We prefer to rename ‘Free Will’ and label it as ‘Influenced Will’ (and ‘Free Choice’ as ‘Influenced Choice’). 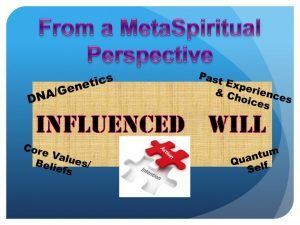 Our Will is influenced by many factors, including our DNA and Genetics; our Past Experiences and Choices; our Core Values and Beliefs; and our Quantum Self, which is a composite of all our past incarnations and/or reincarnations. 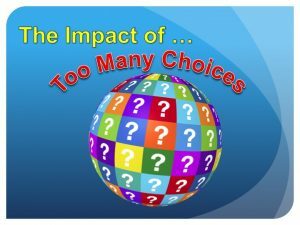 All these influences impact the intentions we set, which then influence (but do not necessarily determine) the choices we make. What’s really cool to realize is that the choice we make in this moment becomes part of our past experiences/choices, thereby continuing to influence future choices! We truly can’t get away from ourselves! So … Why Should We Care? We should care because understanding this reinforces the powerful impact of maintaining a strong and regular Spiritual practice! As we continue to be aligned with our True Self, we add strength and priority to the kinds of choices that will contribute to our spiritual enrichment and eventual enlightenment. Positive, life-affirming choices become our default! What Else Impacts Influenced Will? Reflect on two or three of your past choices. Even though you believed you “freely” chose to make the choice you did, think about what factors actually influenced your decision. Knowing what you know now, would you have chosen a different way? For the next seven days, begin a practice of taking at least 10 minutes of reflection time before committing to an important decision. During that time, go within to connect with your Core Abilities (your Higher Self) to determine what inner guidance you receive. At the end of the week, look back at the decisions you made and evaluate the impact of taking time to reflect before acting. Use this information to craft a plan as you move forward. 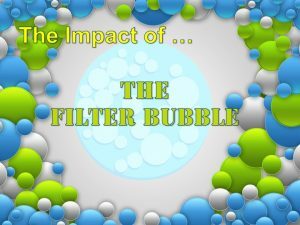 Become aware of the Filter Bubbles you have created in your life. Begin questioning each one to see if it is time for some expansion!